Dry January is flying by (hurray) but as we head into Fun February our resolution to cut down on the booze will dry up too. So why stop now? It’s the same with exercise. We all make great promises to ourselves to start exercising or to increase our activity levels in the New Year because we want to feel healthier and better about ourselves. So how can we keep that resolve going so we can feel even better by Christmas 2018? Start easy. You’ve probably eaten and drunk more than usual recently so you may be a bit heavier and have a lower level of fitness. Don’t be too ambitious and try to take up where you left off. Watch the weather. It’s cold and wet now, which makes exercise more challenging as physical activity in the cold is more likely to lead to strains and pulled muscles. Start indoors at the gym; you’re more likely to quit running if it’s cold and wet outside. Be realistic. You’ve lost fitness; as we get older, we can’t rely on that inner fitness level to remain if we take a break for a year or two, or even for a few months. So, start gently by setting smaller, achievable goals and find an activity appropriate for the season that will still keep you enthused even in this weather. At Petersfield Physiotherapy and Sports Injury Clinic, I often get asked about the best way to start exercising. I always advise to create an exercise regime that you can stick to but which you can tweak as your fitness improves. Mix and match your exercises; don’t exercise for one sport or activity but, instead, try a range of exercises to give your entire body a workout. For cycling, try mixing swimming with the gym to work out your upper body, which often gets forgotten. This also improves core strength and balance, which are incredibly important in the long term. Mix a slow, strengthening yoga session with a cardio workout (such running) to develop a longer lasting fitness and for losing weight. To increase tone, complete a fast, flowing yoga style along with regular weight training. Creating a varied exercise routine combats boredom which is the bigger killer of New Year resolutions, and it also allows us to continue some exercise even if we have picked up an injury. Anyway, doing activities rather than repetitive gym exercises will help those of us who don’t like the gym so much. 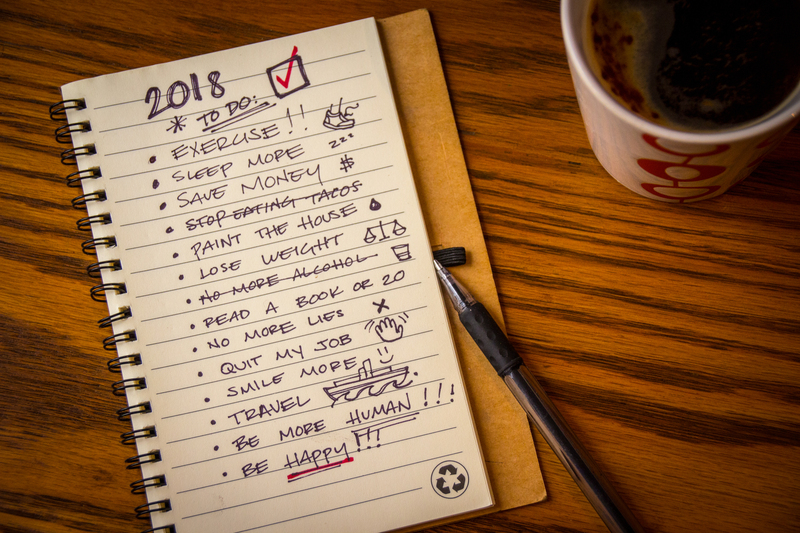 So, if you want 2018 to be a year in which you make a difference and change yourself permanently, make a measured start making it easier to stick to a routine. If you start well, you’ll find it much easier to exercise regularly for the whole year rather than just January. As they say, a journey of 1000 miles starts with a single step. If you live in the East Hampshire area and you’d like to know more about exercising more or taking up an activity, contact Petersfield Physiotherapy and Sports Injury Clinic or ring 01730 267645. We’d love to help.